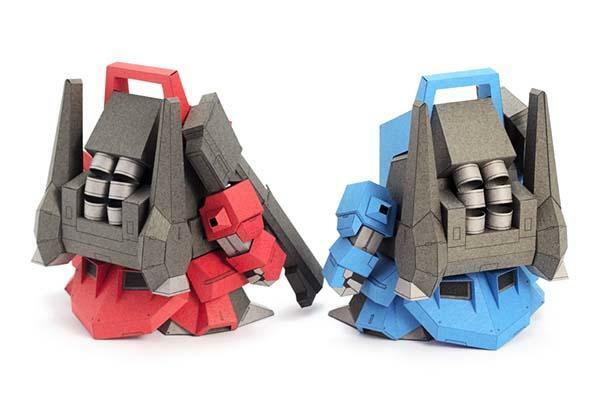 Need two cute Gundam models to guard your books or laptop on the desk? If you don’t have enough time to build a Gundam model, the two cute 5cm Gundam v4 papercrafts may be able to catch your eyes. Wxy.pipi, a papercraft artist designed and created the two squatty Gundam paper crafts. 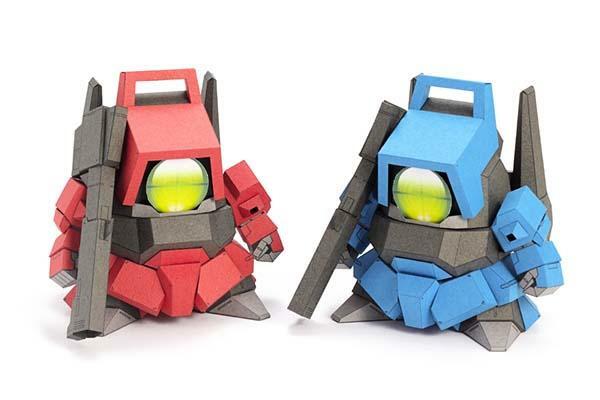 As we can see from the images, the two papercrafts features pretty cute design along with gorgeous color scheme, although the two Gundam models have been dwarfed, those iconic details tell us they are originated from Rick Dias. The designer has released all the templates of the Gundam papercrafts. If you also want to make the Gundam models, jump to Wxy.pipi’s blog for more details. Additionally, also don’t miss other pretty cool options via “papercraft” tag.